It’s going to feel strangely quiet once the Olympics wraps up in just over a week’s time. What are we going to do without having three (or more) TV channels screening different events with countless other streams online plus that live BBC text commentary? Everyone’s been following the Olympics – I suspect productivity is not what it could have been. And oh, the drama. My favourite moment is probably when both the TV commentators at the men’s gymnastics team event practically screamed in (unplanned) unison that “…Great Britain has the silver medal!!!”. However, that was followed five minutes later by Japan’s successful appeal and GB’s demotion to bronze. Which was still the first medal in years and completely unexpected. Good times. Transport-wise (because I know you’re all dying for an update), it’s actually been good. That first Monday of the Olympics felt a bit like a weekend morning – while quite not empty, peak-hour trains were not exactly packed. It’s starting to get busier now, especially since the athletics have started, but the issue now is that shops and restaurants in central London are complaining that both visitors and locals have been scared away by the travel warnings and they’re losing business. Ha. And yes, since you ask, I’m still madly jealous of the people I see at the stations waving around their Olympics tickets. Deanna Raybourn posted about RWA dropping the RITA category for Novel with Strong Romantic Elements (and tweeted that the Regency category was dropped as well). I’ve not been following the RITAs that closely this year, but the Strong Romantic Elements category is the one that most appeals to me precisely because it’s cross-genre. While I don’t read many “straight” romances nowadays, all my reading tends to have a strong romance subplot and I’ll miss getting some recs from this category. I’ve not seen any discussion around why the Regency category was dropped – does anyone has further info on this? This month’s theme for Kailana, Lisa, and Trish‘s Where in the World are You Reading meme is Library (hosted by Kailana). I loved seeing everyone’s local bookstores last month, but since I struggled with taking sneaky pictures of my bookstore, I’m not quite sure if I can manage the library. I’ll have to see what I can do. And finally, reading! 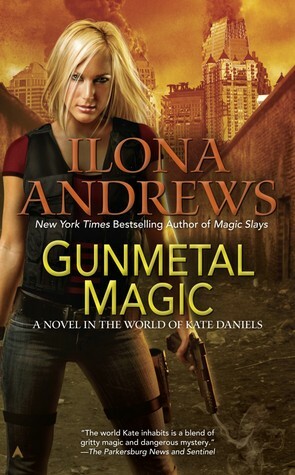 I am having a good week – primarily because I’ve started reading Ilona Andrews‘ GUNMETAL MAGIC. I am totally loving Andrea. And Raphael. And Ascanio. And well, just about everyone else. I was (ever so) slightly dubious about this book – sure, I liked Andrea, but would she be able to carry her own book? The answer is an emphatic YES. I’m about 2/3s through and only stopped because I was literally falling asleep last night. And on that cross-genre thing, although GUNMETAL MAGIC probably sits in UF, it is very much a romance. I also finished Wen Spencer‘s ELFHOME (ignore the cover, btw – oh Baen!). I’m a fan of Wen Spencer, ever since I glommed her Ukiah Oregon series way back when, but I haven’t read any of her books for a long time. 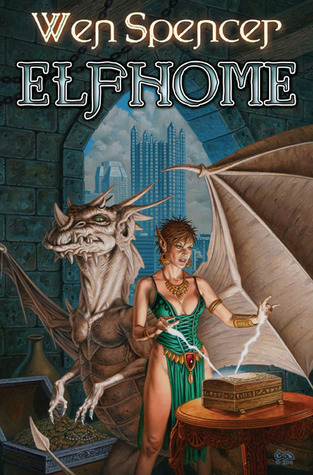 ELFHOME is the third book in her Tinker series – here’s where I admit I thought I had read the second book, but realised probably about a quarter of the way through ELFHOME that I hadn’t. Ooops. By that time, I was too engrossed in the story that I didn’t want to put it down and find the second book, which probably gives you quite a good indication that Wen Spencer can tell a story. The Tinker world is a unusual amalgamation of magic and technology, with both elves and computers coming together in a not-quite-Pittsburgh setting (and this was probably more unique when the first book was released back in 2003 than it is now). ELFHOME had a good-triumphing-over-evil, feel-good story line – I really enjoyed it. Be forewarned, this is a post about nothing really. I’m recovering from a bout of the flu that came out of nowhere – after smugly avoiding the array of colds and coughs that have swept the office over the past few months, I get taken out by a virus that no one else seems to have (and I swear it’s not one too many Christmas drinks!). Besides lying in bed for the past few days feeling rather sorry for myself, I haven’t really mustered up the energy to do anything. I was sort of thinking I could get my list of books read in 2010 up to date – my latest update was back in October, ouch – but that appears to take mental energy which is somewhat lacking at the moment. I have been reading though – I finished Juliet Marillier‘s latest Sevenwaters book, “Seer of Sevenwaters”, my thoughts paralleling Thea’s review at The Book Smugglers quite closely. Bear in mind I was reading in stops and starts, but I thought Seer lacked the sense of epic-ness that previous Sevenwaters books had, with slightly uneven pacing throughout the first half of the book. Maybe it was the fact the book wasn’t set in Sevenwaters itself (though I don’t think all the previous ones were? 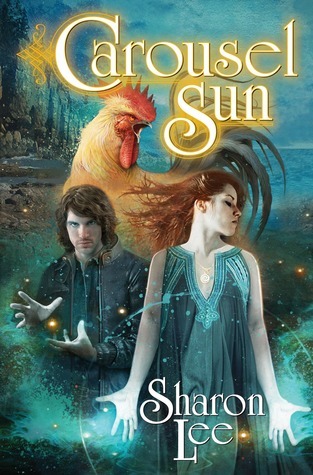 ), or that the two protagonists, Sibeal and Felix, never really had the same presence that other lead characters have had in previous books, I’m not sure, but this book failed to capture my imagination in the same way the other Sevenwaters novels have. 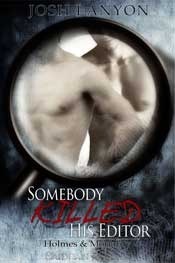 I’ve more to say (and not all just comparisons to previous books in this series! ), but can’t quite string very many coherent thoughts together (or rather, I could, but then I’d probably still be sitting here at midnight trying to polish it all up), so we’ll leave it at “I enjoyed it, but didn’t love”. I also finally got around to reading Deanna Raybourn‘s “Dark Road to Darjeeling”, which is the Lady Julia Grey historical mystery that came out back in October. It’s not exactly what I would call a feel-good book, but certainly a well-told story. I skimmed most of the reviews when the book came out, not wanting to be spoilt, so I can’t remember if anyone was left feeling ever-so-slightly unsettled and disturbed by the closing events? Probably not a book I’ll re-read, but I’m looking forward to more Julia and Brisbane though, as they negotiate their life together. At the ripe old age of 32, former wild child Isabel "Izzy" Spellman has finally agreed to take over the family business. Let’s just say the transition won’t be a smooth one. 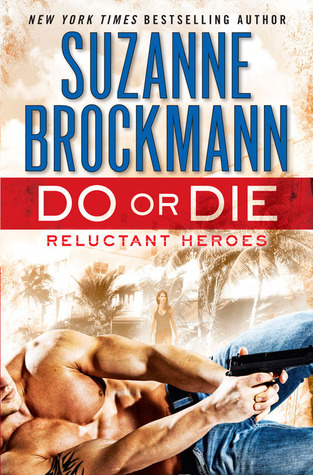 Her first priorities as head of Spellman Investigations are to dig up some dirt on the competition—slippery ex-cop Rick Harkey—and to track down a stolen screenplay called The Snowball Effect. Next, faced with a baffling missing-persons case at the home of an aging millionaire, Izzy hires an actor friend to infiltrate the mansion as an undercover butler. Only he enjoys the role a little too much. Meanwhile, Izzy is being blackmailed by her mother, who threatens to distribute photographic evidence of Prom Night 1994 unless Izzy commits to regular blind dates with promising professionals—an arrangement that doesn’t thrill Connor, an Irish bartender on the brink of becoming ex-boyfriend #12. At Spellman headquarters, it’s business as unusual. Doorknobs and light fixtures are disappearing every day, Mom’s been spotted crying in the pantry, and a series of increasingly demanding Spellman Rules (Rule #27: No Speaking Today) can’t quite hold the family together. Izzy also has to decipher weekly "phone calls from the edge" from her octogenarian lawyer Morty, as well as Henry Stone’s mysterious interest in rekindling their relationsh … well, whatever it was. Just when it looks like things can’t go more haywire, little sister Rae’s internship, researching pro bono legal cases leads the youngest Spellman to launch a grass-roots campaign that could get an innocent man out of jail—or land her in it. Patricia Briggs’ “Silver Borne” (urban fantasy): I’ve already pre-ordered it (and yes, I’ve gone for the UK paperback, even though I’m madly envious about those who get the US hardcover version – I’ll just lust over the cover online). It’s a close call between the Mercy series and the Anna & Charles one for me at the moment, but Mercy just edges it, so to say I’m madly excited about this fifth book is probably an understatement. Richelle Mead’s “Succubus Shadows” (urban fantasy): Ms Mead’s Vampire Academy YA series seem to be getting more attention nowadays, but I read her Succubus books first. A lot has happened since the first book – heck, a lot happens in each book, and I really want to know what happens next. Jenna Black’s fifth book in her Morgan Kingsley series, “The Devil’s Playground” (urban fantasy, out March 23) – this series has been a bit hit or miss for me, with more misses than hits recently. 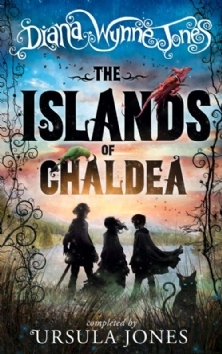 I have heard this is the final book in the series (though I can’t remember where now, and could be completely wrong), so I may get it to see how it all pans out. Lee Child’s latest Jack Reacher book (suspense), “61 hours”, is out in the UK on March 18. I usually end up buying these books sooner or later, though the recent ones haven’t grabbed me the way the earlier ones did. “Warriors”, a fantasy anthology edited by George RR Martin and Gardner Dozois, with some excellent contributors, including Diana Gabaldon and Naomi Novik. The reason I’m hesitating on this one is the price, it’s showing up as £21 on The Book Depository. And as much as I love those two authors, that’s a bit too pricey for me – fingers crossed for a UK edition. This time last year, I posted an epic series of posts about my reading year (okay, five – that counts as epic for me). This time around, not that many, I swear. I started the year off with a bang, falling in love with Juliet Marillier’s “Heir to Sevenwaters” (warning: very spoiler-y post) and officially becoming a Marillier fangirl. I then somehow started on LM Montgomery’s short stories and really, couldn’t stop – I pretty much spent the latter half of January immersed in LM Montgomery’s turn-of-the-century Prince Edward Island. Eleven books read in total, counting the six LM Montgomery short story collections – I did say I was addicted, didn’t I? 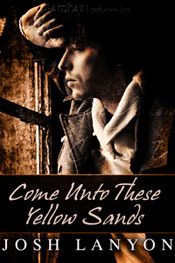 Standout book of the month was Patricia Briggs’ “Bone Crossed” (urban fantasy) – did you even have to ask? She has a gift for storytelling and I can’t get enough of her Mercy Thompson books. And it was obviously quality, not quantity, that counted in February, because while I only read five books (seriously, what was I doing? ), I also read and loved Lois McMaster Bujold’s “Horizon” (fantasy), which was a note-perfect ending to her Sharing Knife series, and Josh Lanyon & Laura Baumbach’s “Mexican Heat” (romantic suspense m/m), which I thought delivered both romance and suspense in spades. Not a massively exciting month reading-wise, with seven books read over the course of the month. I mostly read the latest books in various ongoing series, including Deanna Raybourn’s “Silent in the Moor” (historical mystery, with a wonderfully Gothic atmosphere) and Kelley Armstrong’s “Made to be Broken” (romantic suspense, and a solid read, as per my expectations). But swept away in a wave of nostalgia after reading LM Montgomery back in January, I started re-reading Elinor M Brent-Dyer’s Chalet School books, and gosh, this brought back so many memories – I adored them as a kid and wanted to go to boarding school so badly. I loved doing these re-reads, and even invested in some new-to-me Chalet School books – and ouch, these are expensive nowadays. Now April was an excellent month for reading. 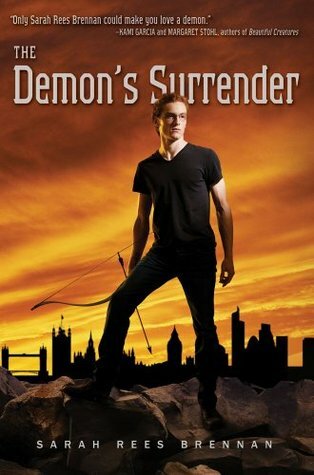 Ilona Andrews’ “Magic Strikes” (urban fantasy) wowed me – from a rather so-so first book, the Kate Daniels series has grown into one of the best UF series out there, IMO. I also loved Sarah Monette’s “Corambis” (fantasy), an incredibly satisfying finale to her Doctrine of Labyrinths series. 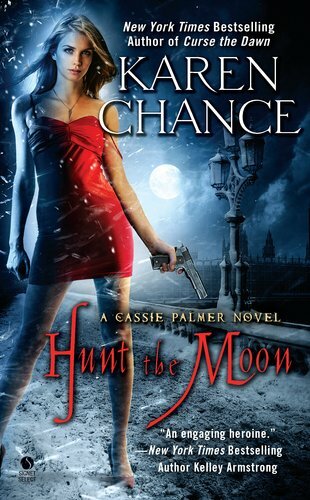 And then there was Karen Chance’s “Curse the Dawn” and Jim Butcher’s “Turn Coat”, both immensely enjoyable installments in the Cassie Palmer and Dresden Files urban fantasy series respectively. I read nine books this month, very much dominated by the fantasy genre, but also including two Agatha Christie mystery short story collections, which had a nice mixture of new-to-me stories and old favourites. Ah, May. I read seven books in total, but there were two standouts for me. 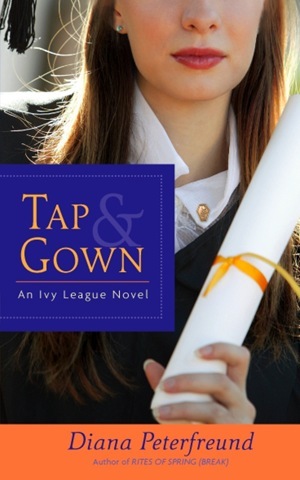 Diana Peterfreund’s “Tap & Gown” brought her Secret Society Girl series to a close, and did so in the most perfect manner possible. And I finally got my hands on Eva Ibbotson’s “Magic Flutes”, thanks to Young Picador re-releasing her backlist in the UK. 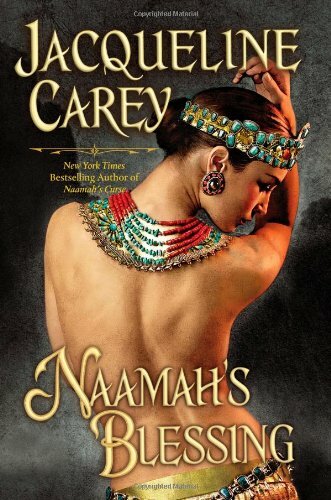 Her historical romances are pure joy to read – some of her turns of phrase are almost magical, and I am in love with her ever-so-slightly exotic continental European settings. And of course, the enchanting characters. Well. I did a minor Josh Lanyon glom, reading three of his novellas (“Lovers and Other Strangers”, “Someone Killed His Editor”, and “Don’t Look Back”) in quick succession, all which had his trademark wry humour and wonderful characterisation. And read two more books, neither of which I fell in love with, and then I sort of went into a reading slump. I can’t believe we’re already well into March. What happened to February? Anne Bishop’s “The Shadow Queen” (dark fantasy): I’m one of her many Black Jewels fans and can’t wait to revisit this world. “The Shadow Queen” follows the descendants of the main h/h in “The Invisible Ring” (a standalone Black Jewels novel), which happens to be one of my favourites – so yay! Theran Grayhaven is the last of his line, desperate to find the key that reveals a treasure great enough to restore Dena Nehele. But first he needs to find a Queen who knows Protocol, remembers the Blood’s code of honor, and lives by the Old Ways. Languishing in the Shadow Realm, Lady Cassidy is a Queen without a court, a castoff. She is not beautiful. She thinks she is not strong. But when she is chosen to rule Dena Nehele, she must convince bitter men to serve once again. And only Cassidy can prove to Gray—and to herself—that wounds can heal and even the whisper of a promise can be fulfilled. Cassandra Clare’s “City of Glass” (YA urban fantasy): I’ve mentioned before how much I like Ms Clare’s Mortal Instruments books, and “City of Glass” wraps up the trilogy. I’ve even ordered the US version, because the UK release is only in July (I hate it when publishers do that). While I’ve had to shell out for the US hardcover price, I get the added benefit of the much better US cover (left) – I really hope the UK version (right) looks better IRL because at the moment, the only positive thing I can think of is that it will probably stand out on the shelves! The covers have been good so far, and this one is no exception. Deanna Raybourn’s “Silent on the Moor” (historical mystery): I loved the first two Lady Julia Grey novels (“Silent in the Grave” and “Silent in the Sanctuary” respectively) and can’t wait to read this one. I’ve got my fingers crossed for lots of Brisbane, and based on the back cover blurb, I suspect I won’t be disappointed. Oh, and I think in the battle of US v. UK covers, it’s US 2 UK 0. This is a pink travesty. Nalini Singh’s “Angel’s Blood” (paranormal romance): Ms Singh’s Psy-Changeling paranormal romance books are autobuys for me, so getting this one is a no-brainer for me. Reviews so far have generally been really positive too. I still haven’t bought the e-novella that came out a couple of weeks back, “Angel’s Pawn”, so maybe I’ll get that before reading “Angel’s Blood”.